This week, Giti Tire USA hosted a launch event to debut its new touring tire under the GT Radial brand, the Maxtour LX. 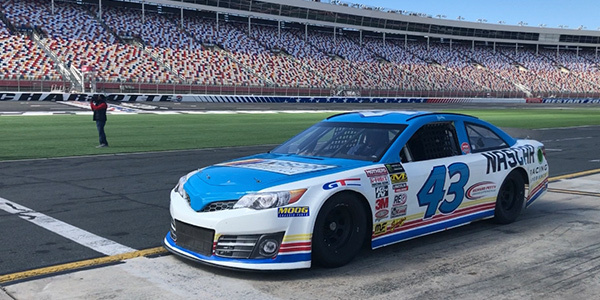 During a ride-and-drive event at the Charlotte Motor Speedway, Giti invited tire dealers, distributors and members of the media to test out its newest offering, which has 78% volume coverage of the top 20 all-season replacement sizes in the U.S. The same day, Giti took participants to its manufacturing facility in Richburg, South Carolina, to show them how the company manufactures its tires and the progress it has made in the factory since opening in late 2017. 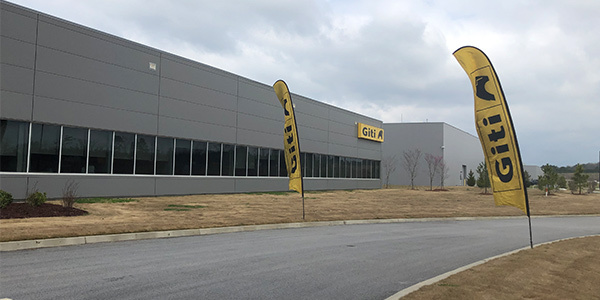 The exterior of the new Giti Tire USA manufacturing facility in Richburg, South Carolina. 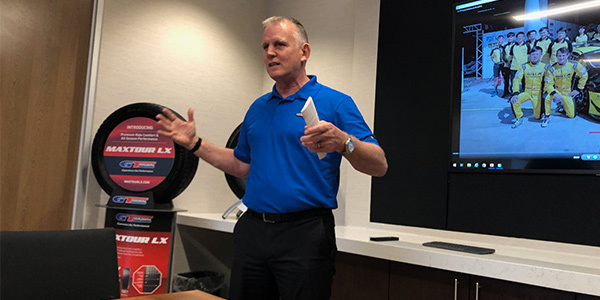 Hank Eisenga, vice president of manufacturing for Giti Tire USA, goes over plant rules before a tour of Giti Tire USA’s Richburg, South Carolina plant – its first outside of Asia. 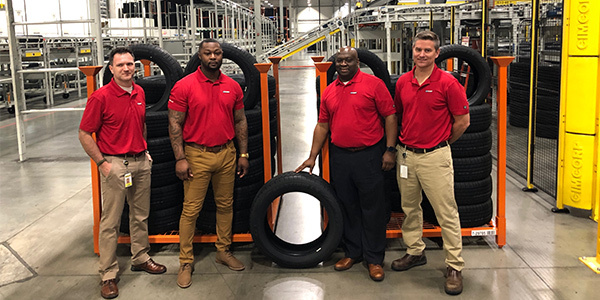 The management team at Giti Tire USA’s Richburg, South Carolina plant stand proudly with the GT Radial Maxtour LX, which is being manufactured there. 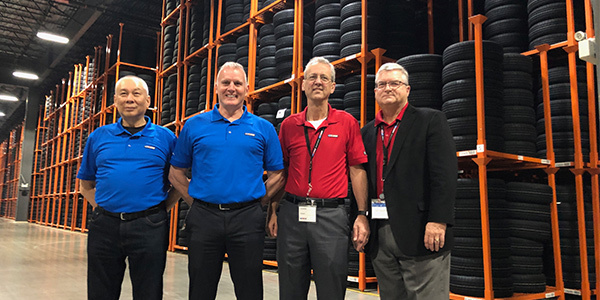 Standing within the company’s full 40,000 square-foot warehouse are (from left) Phang Wei Yeen, head of global R&D for Giti, Hank Eisenga, vice president of manufacturing for Giti Tire USA, Tim Fulton, Giti Tire USA CEO and Jim Mayfield, senior vice president of sales and marketing. 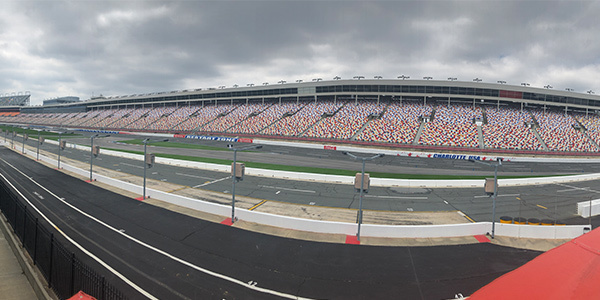 A panoramic shot of the Charlotte Motor Speedway, which played host to the launch of GT Radial’s new Maxtour LX. Event participants test the GT Radial Maxtour LX (far right) and its competitors on Toyota Camrys. 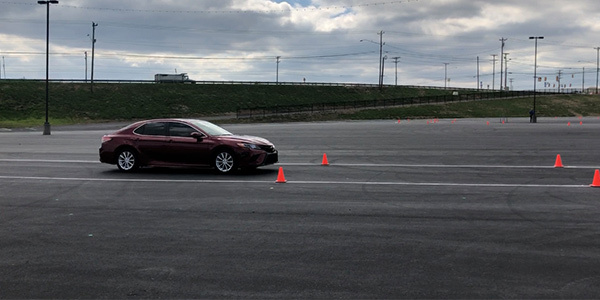 The Maxtour LX on a Toyota Camry before taking off on the peak performance course at the Charlotte Motor Speedway. The tire comes in 42 sizes in popular fitments. The autocross course where event participants experienced the handling and wet stopping capabilities of the GT Radial Maxtour LX. 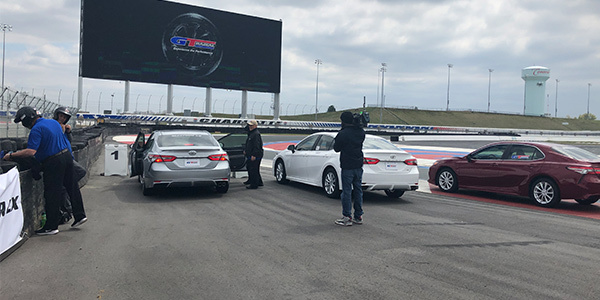 Attendees at the GT Radial Maxtour LX launch received the NASCAR Experience – laps with a professional driver around the oval of the Charlotte Motor Speedway. 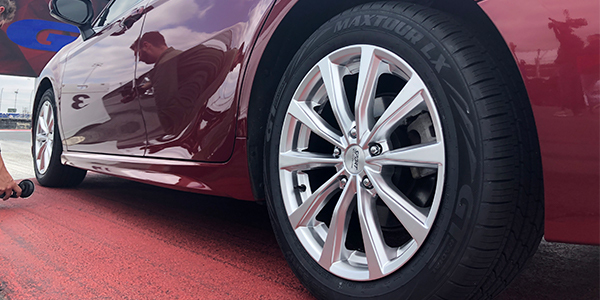 To get a better feel for the Maxtour LX, event attendees tested its handling and wet braking performance on an autocross course against two of the tire’s competitors in the touring segment. Professional drivers also drove participants on the speedway’s infield course to feel the tire’s characteristics at peak performance. Giti capped off the ride-and-drive by giving participants an adrenaline-filled NASCAR driving experience with a professional driver around the Charlotte Motor Speedway track, known as “The Greatest Place to See the Race.” The company also hosted an event at the NASCAR Hall of Fame in downtown Charlotte, North Carolina, where attendees competed in a mock pit crew competition and duked in out in a NASCAR race simulation expereince.